Just listed in the quaint community in North Palm Beach, Florida is this wonderfully updated single family house. 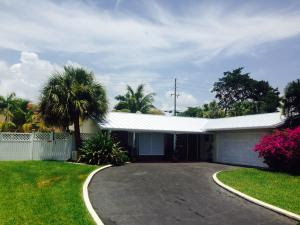 Nestled in the quiet enclave, this 3BR/2BA Village of North Palm Beach home offers a pool and boat storage alongside its 1,400 square feet of completely updated living space. A very spacious kitchen is graciously appointed with sleek granite counter tops and all stainless steel appliances. Additional community features in the neighborhood are walking distance to Lakeside Park with an intra coastal beach. The Village Of North Palm Beach is a single family home neighborhood situated between intra coastal waterways and marinas. In addition Village of North Palm Beach residents are granted access to The North Palm Beach Marina and boat ramp access. The Village of North Palm Beach offers its residents exceptional community amenities including Village of North Palm Beach Community Pool Located on US1. Residents of the Village of North Palm Beach also enjoy close proximity to upscale shopping and fine dining at nearby Gardens Mall and Downtown at the Gardens.